Captive Bred Reptile Forums UK - A side-by-side comparison of a lavender albino and pastel lavender albino ball python. YouTube - Justin Kobylka and World of Ball Pythons team up for a holiday Advent calendar, of Ball pythons! Day fourteen is a Pastel Lavender Albino. Reptile Insider - This beautiful lavender albino ball python shows off their colors for these excellent photos. Captive Bred Reptile Forums UK - This lavender albino ball python looks bright and beautiful and makes a great addition to a member’s collection. Bush League Breeders Club - Check out the amazing colors on this lovely lavender albino champagne ball python from the collection of Larry Suttles. 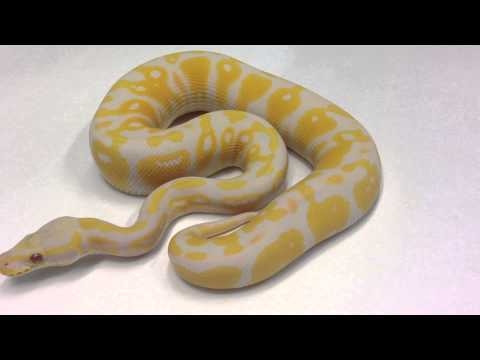 Bush League Breeders Club - A $1000 reward is offered for the return of a lavender albino ball python that was stolen off an expo table at the Woodbine Expo in Toronto.